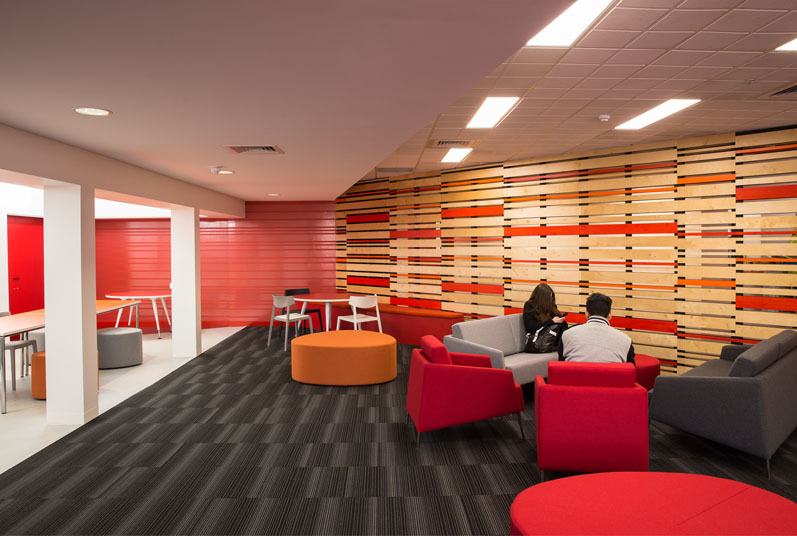 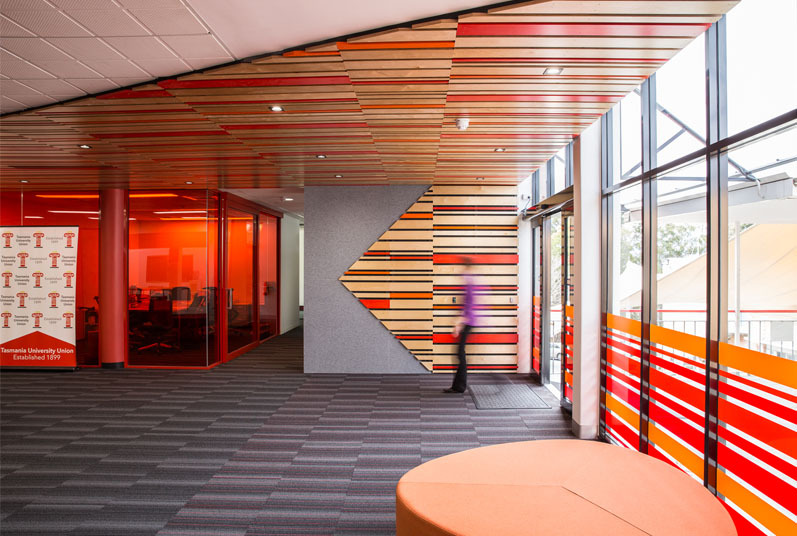 The Tasmanian University Union (TUU) Refurbishment Project is located on the University of Tasmania’s Sandy Bay Campus. 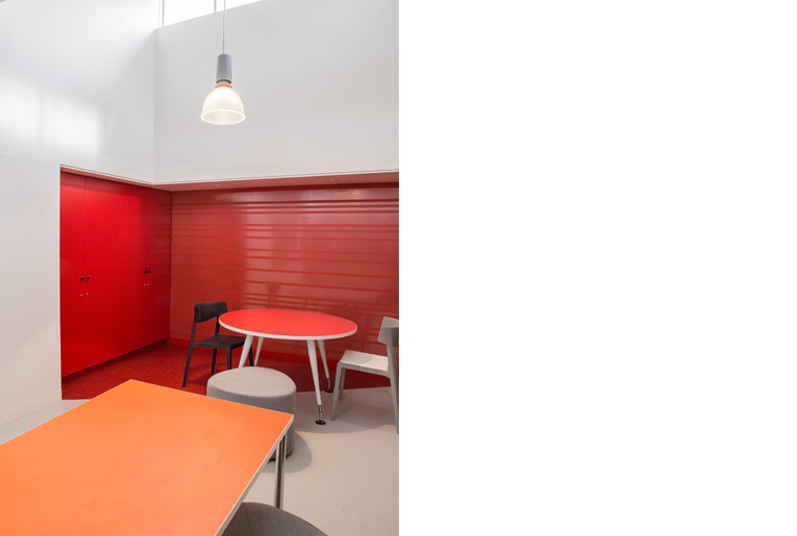 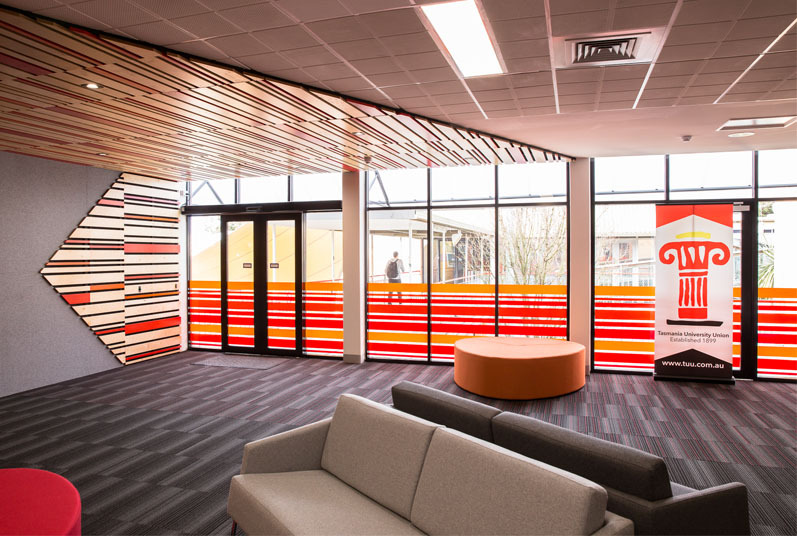 Outdated and cluttered, the brief for the project was to transform an existing administration space and offices into a vibrant open plan student lounge with kitchen facilities and a dedicated meeting space. 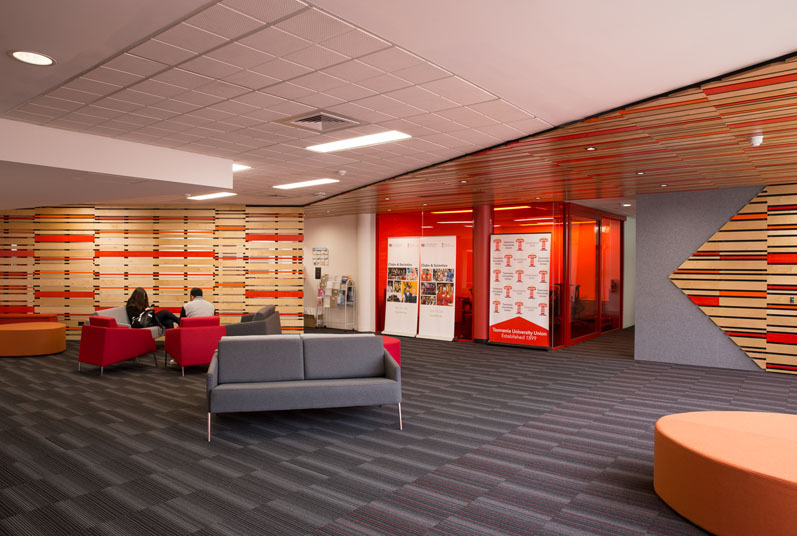 The refurbishment works provide the TUU and the campus with a new welcoming and instantly identifiable student space also with a fresh point of contact between the students and TUU administration staff. 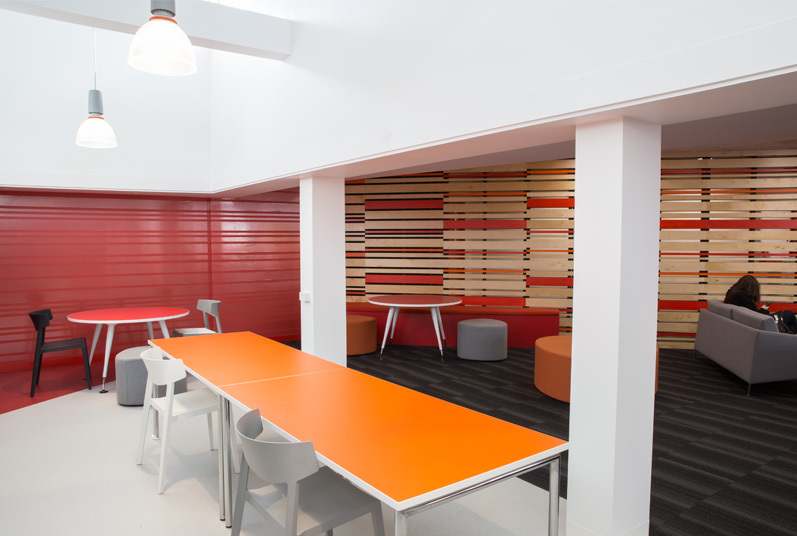 Meeting, Lounge and Kitchen areas assist in providing support services for a diverse range of student groups. 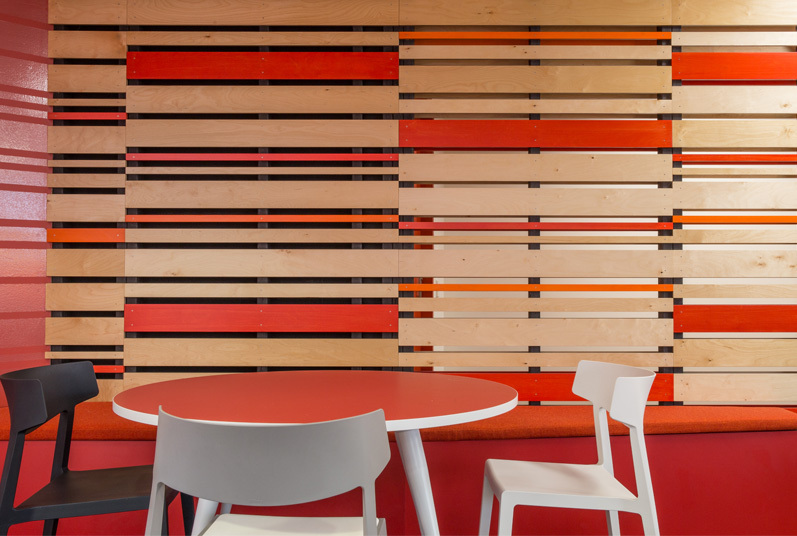 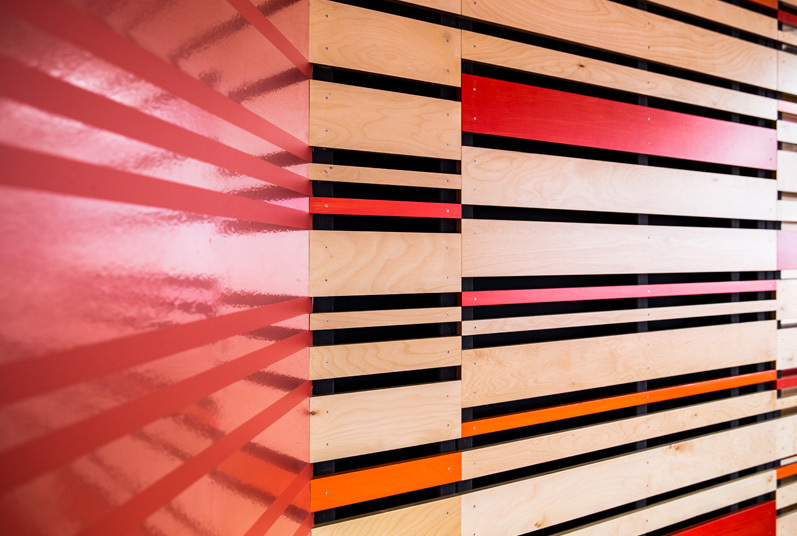 A playful plywood screen creates a backdrop to the student zone, providing privacy for office and quiet areas.